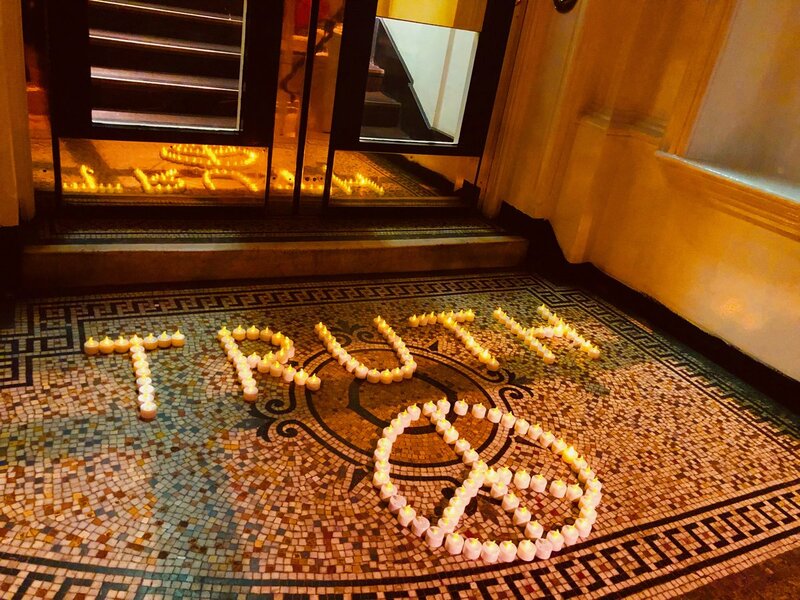 During Autumn this year the most beautiful candle arrangements have been inspiring WL supporters outside the Ecuadorian Embassy and elsewhere with supportive messages for Julian Assange. 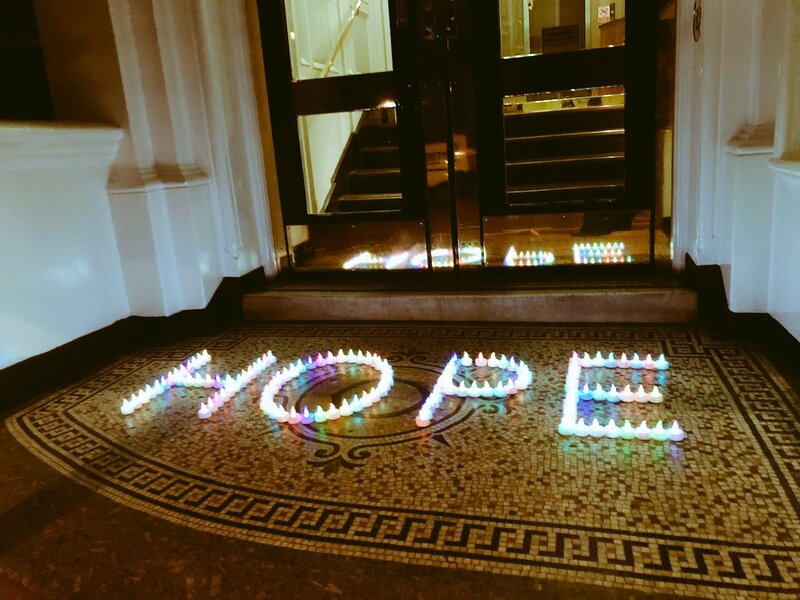 Sabine says: ” For me the HOPE aspect is most important; not ‘naive’ unfounded optimism, but hope based on actions we take in real life. 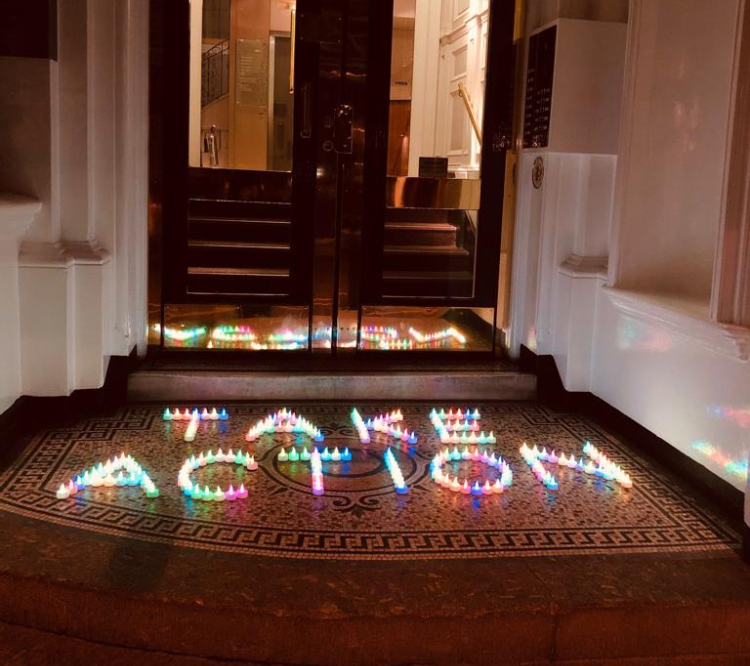 Everybody can do it. The first step is the hardest. 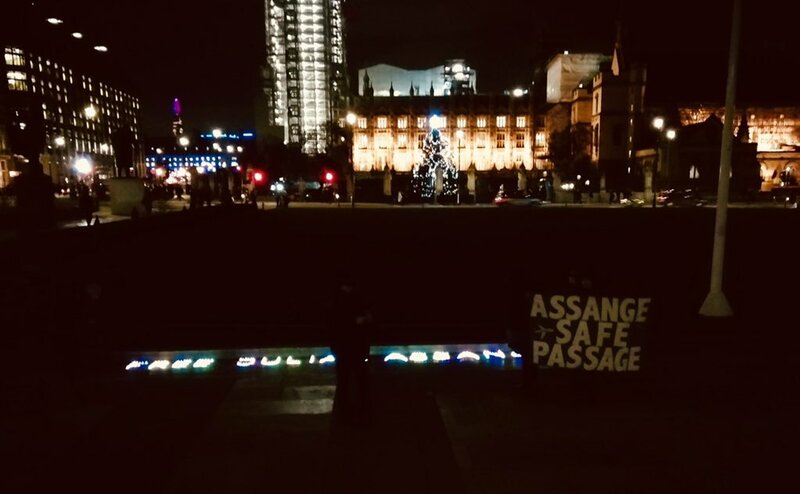 Once this shift has happened it becomes easier and easier… On a practical note: There are further #FreeAssange ‘guerrilla’ candle actions planned for the coming days and weeks in public places in London, like the one at Parliament square. If you would like to participate please send a DM via Twitter to @BeeBeeHoneyBee. 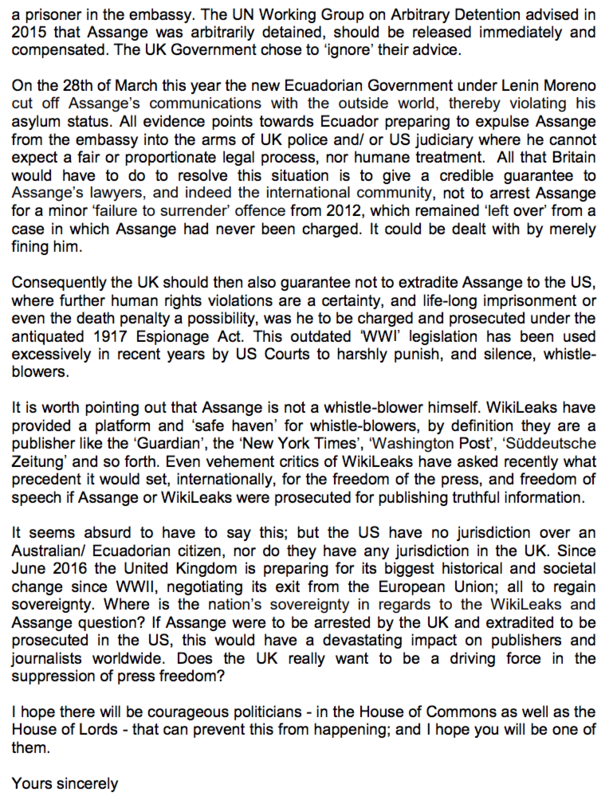 A translation of her letter in French has been published at website LaGrandSoir.info and you can find it here. 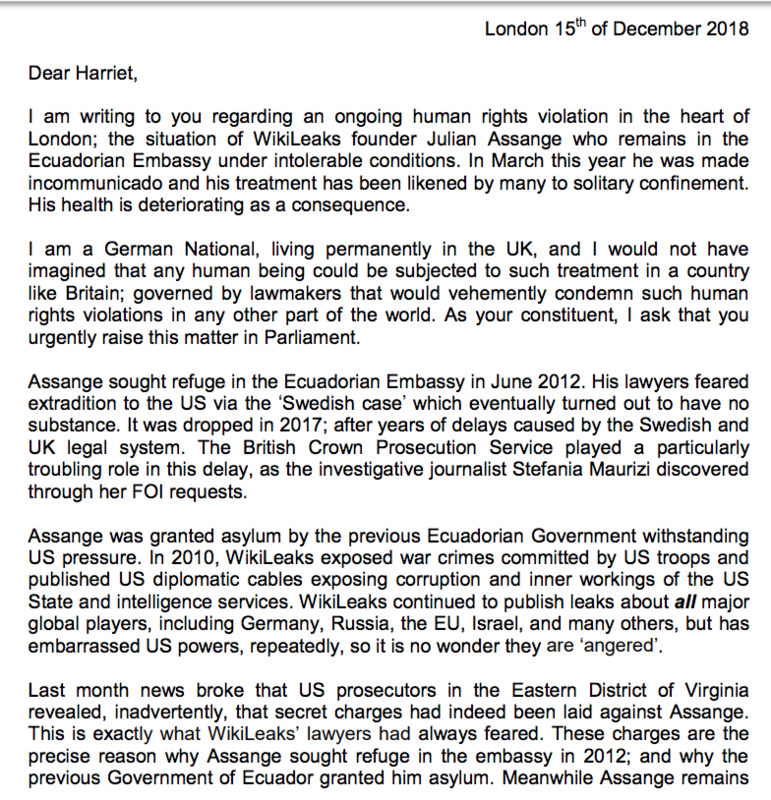 Gallery | This entry was posted in Assange, WikiLeaks and tagged Harriet Harman, Julian Assange, WikiLeaks. Bookmark the permalink.